Today, Apple announced its next iteration in its hugely popular and financially successful iPhone line: the iPhone 5. The latest iPhone will begin shipping on September 21 with pre-orders starting on September 14. On contract, the phone will be $199 for the 16 GB version, $299 for the 32 GB version, and $399 for the 64 GB version. 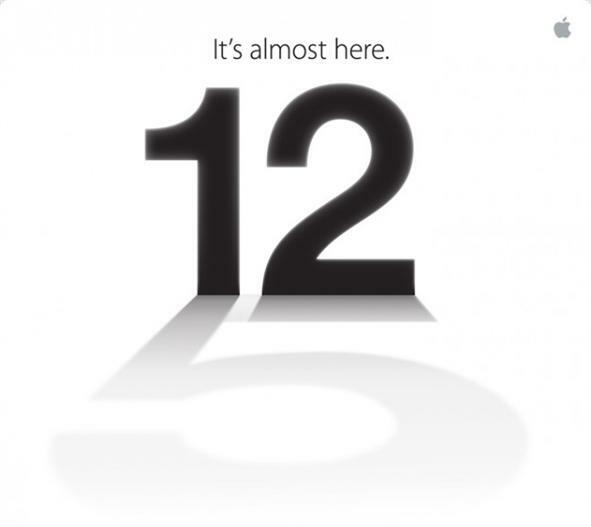 Like the iPhone 4S launch, the iPhone 5 will be available in both black and white on AT&T, Verizon, and Sprint. Now that we got the date out of the way, let’s get to what everyone really wants to know. I’m going to preface this with the fact that I own a Google Galaxy Nexus with Jelly Bean, so my opinion of the iPhone 5 is not an unbiased one. My first thought throughout the announcement was a single one: disappointed. When I look at the product holistically, I see two distinct features of the iPhone 5 that truly stick out from its predecessor: a larger 4″ screen and LTE. Congratulations, iPhone users on your larger screen and faster mobile data speeds (okay, and it’s slightly thinner and lighter, but you’ll still probably put this baby in an Otterbox because its made out of aluminum and glass). Other than that, the phone is exactly what it was and always has been. You will still find the smooth iOS experience and the closed garden ecosystem that Apple is known for. For those already entangled in the iOS ecosystem with a MacBook, iPhone, and iPad, then nothing has changed. If you’re interested in a bigger screen, lightning fast LTE speeds, and slight improvements to the processor, and are willing to compromise by buying an adapter for the Lightning connector to work with your current accessories (or buy all new accessories), as well as deal with black bars on some of your favorite apps, then the iPhone 5 is for you. Actually, I should point out the app disparity. Because the screen of the iPhone 5 is the first to be 4″ instead of the 3.5″ developers and users have been used to, all of the apps in the iOS ecosystem will need some tweaking. In the mean time, all of the apps that don’t support the iPhone 5’s 4″ screen will run as if you were viewing it on your old iPhone except centered and with black bars above and below the app. Basically, apps that do not support the new screen size do not utilize any of the new screen real estate. App developers will have to go back to their apps and create a version for the 4″ screen – no different from creating a version for the iPad’s larger screen or when the pixel density increased on the iPhone 4 and iPad 2012. I guess this solution is better than stretching a 3.5″ app, but it doesn’t seem like a very elegant solution. iOS6 is exactly what was previewed back in June with integrated maps and Facebook. There were no real surprises for iOS6 like there was last year with the introduction of Siri. Probably the most promising feature out of iOS6 is the Passbook, which stores movie tickets, sporting tickets, boarding passes, loyalty cards, and more. It’s a great idea and one that Apple can excel at since something like this really requires a unified hardware and software solution. My only big concern is with security. Can Apple be trusted with this information? We should all be fairly familiar with the Wired hacking incident that specifically called out Apple on its security. As the Passbook idea expands into mobile payment and identity territory, then this question will become all too relevant. Facebook integration is also a big talking point with iOS6 and the redesigned iTunes store. Is Apple + Facebook a force to be reckoned with? “The enemy of my enemy is my friend,” as the saying goes. Apple is taking a small risk by integrating Facebook in order to compete with Google and its platform of services that include its own social network Google+. What happens if Facebook ends up being uprooted by a new social network? It seems unlikely based on networking effects, but it is definitely possible. Microsoft is taking a similar risk with its integration of Facebook in Windows 8. While Apple and Facebook are playing nice with one another at the moment, I saw Apple struggle to create its own social network through photo stream and the way artists can share photos through iTunes. I truly believe Apple will be attempting to create its own social network within its ecosystem over the course of the next few years. I am also slightly disappointed that NFC was not included in iPhone 5. The news leading up to the event suggested Apple would not be adopting NFC yet, but I was hoping it would so that mobile payment and NFC as a technology standard would be more widely adopted. Apple has a lot of power through the tenacity and loyalty of its consumer base. Just as Apple killed Flash for mobile (albeit a bit early), it can also help in the adoption of a technology. “With great power comes great responsibility,” and I was hoping Apple would use this power responsibly and for the betterment of our society as a whole. And this is the crux of the entire mobile war. If you’re interested in iOS and Apple’s ecosystem, then that will play the ultimate factor on what phone you buy. Unlike Android and Windows Phone, consumers of Apple’s iPhone know there will only be one iPhone for about a year. 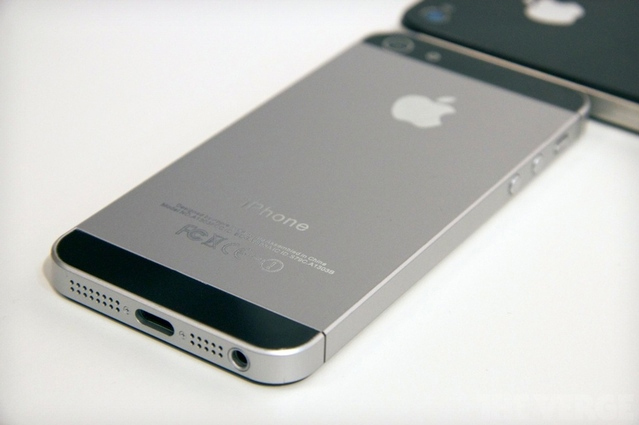 The iPhone 5 will be the top of the line and it won’t be outdated by another iPhone until Fall 2013. However, this entire idea is predicated on the assumption that the consumer will stay in the iOS ecosystem. Outside of the walled garden, new phones with even more advanced hardware – quad-cores (Samsung Exynos, Qualcomm Snapdragon), NFC, better displays, bigger screens (Samsung Galaxy Note 2 for phablet and most other phones are 4.3″+), better cameras (Nokia Lumia 920), better battery (Motorola Droid Razr Maxx), thinner design (Motorola Droid Razr) – are constantly being released by various OEMs who are all competing among each other for the consumer’s money. And it’s not just the hardware that is being pushed. On the software side, Google has made large improvements to its Android OS with Jelly Bean and the integration between Android and Google’s platform of services is a powerful force. Windows Phone 8 still hasn’t been released yet, but we can count on Microsoft to have deep integration between WP8 and Windows 8/Windows 8 RT. The app library for both Android and Windows 8 will only increase in both number and quality as developers migrate to these platforms. In the past, one of the major criticisms of Android was that people aren’t willing to pay for apps on that platform versus iOS. However, that is quickly changing and app developers have shed quite a bit of light on the issue of piracy on both platforms. Android is also making headway on the tablet app front with the success of Google’s Nexus 7. The market size is dictating where app developers will go and all signs point to Android and Windows 8 having an equally robust app market for customers (although Windows 8 will need some time to ramp up). At the end of the day, everyone should ask about what ecosystem they want to be in? Do you make all of your music purchases through iTunes? Do you own a MacBook Pro and iPad? Get an iPhone 5. Do you use Gmail, Google Maps, YouTube, Google+, Google Music, Google Wallet, or Google Voice? Get an Android phone. Do you make a lot of purchases through Amazon or use Amazon’s streaming services? Get a Kindle HD (not for your mobile phone needs, but an equally valid ecosystem for tablets). Do you use Windows at home or your office? Are you planning to use Windows 8 on your laptop, desktop, or tablet eventually? Do you use a @outlook.com or @msn.com or @hotmail.com as your primary e-mail? 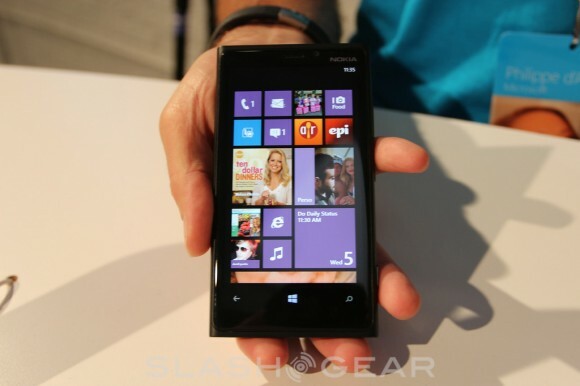 Look into a Windows Phone 8 phone! If you happen to be ecosystem free (for the most part), then do what I do – choose the OS that best suits your needs and then choose the phone with the best hardware and support. Use the cloud to be your bridge between disparate OSes, which is what I do since I use Android for my phone and Windows for my laptop. It’s a good idea and much like investing, I rather be diversified than put all of my eggs in one basket. One way or another, it’s an interesting time to be a tech fan. More than any other time, we are being presented with choices. You have the power to choose what phone, OS, and ecosystem best match your own needs. Personally, I would just hate to fully adopt an ecosystem and then see that same ecosystem fail, hence why I diversify. Apple showed its hand this morning and now the choice is yours. iPhone 5 – to buy or not to buy? ← Galaxy Note II: To Buy or Not to Buy?